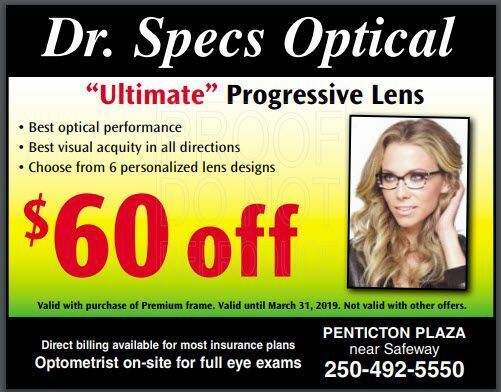 At Dr. Specs Optical we want every patient to have the eyewear they need at an affordable price, so we are constantly on the alert for money-saving deals and limited time offers to save you money on glasses, frames and lenses in Penticton and surrounding areas. As the deals become available we will post them here, so be sure to check back often for updates. And don’t forget: We offer complete eye exams from a trained optometrist. Give us a call for more information or to schedule an appointment.